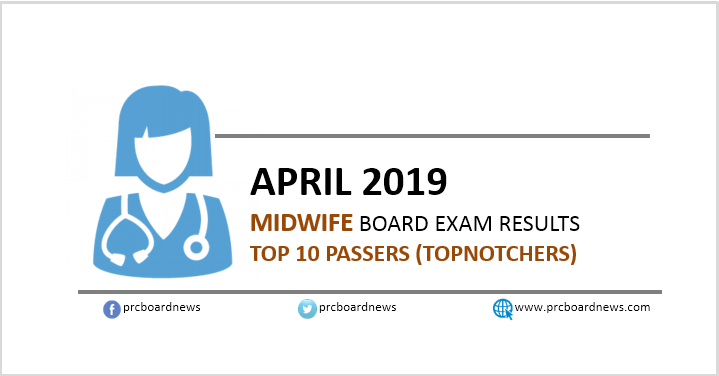 MANILA, Philippines - The Professional Regulation Commission (PRC) named the topnotchers or top 10 passers in the April 2019 Midwife board exam as results are released on Tuesday, April 16, or in three (3) working days after the exam. PRC conducted the exam on April 10 and 11 in various testing centers nationwide: Manila, Baguio, Cagayan de Oro, Cebu, Davao, Iloilo, Legaspi, Pagadian, Tacloban, Tuguegarao and Zamboanga. In the April 2018 exams, Dennis Michael Esteban Zequerra of Cotabato Medical Foundation College led the passers with 91.75%. It was followed by Ethel Cubilan Valones of University of the Philippines School of Health and Sciences - Leyte with 90.95%. In the April 2017 exams, Kathryn Avery Antonio Aldave of Catanduanes State University - Virac topped the board with 91.45%. Donna Mae Bragais Imperial of Bicol University - Tabaco came on second spot with 90.80%. Rooting for my classmate in UP-Leyte to top the Midwife board exam. Waiting for the result here just like last year. haha.